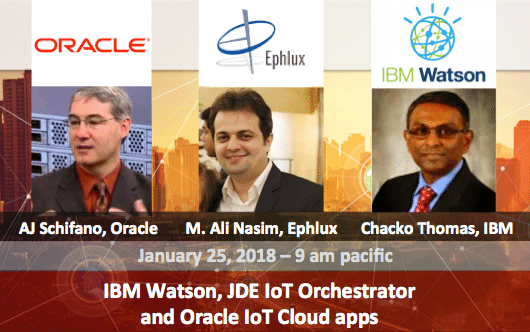 - How Oracle IoT Asset Monitoring works seamlessly with JD Edwards Capital Asset Management (CAM)? 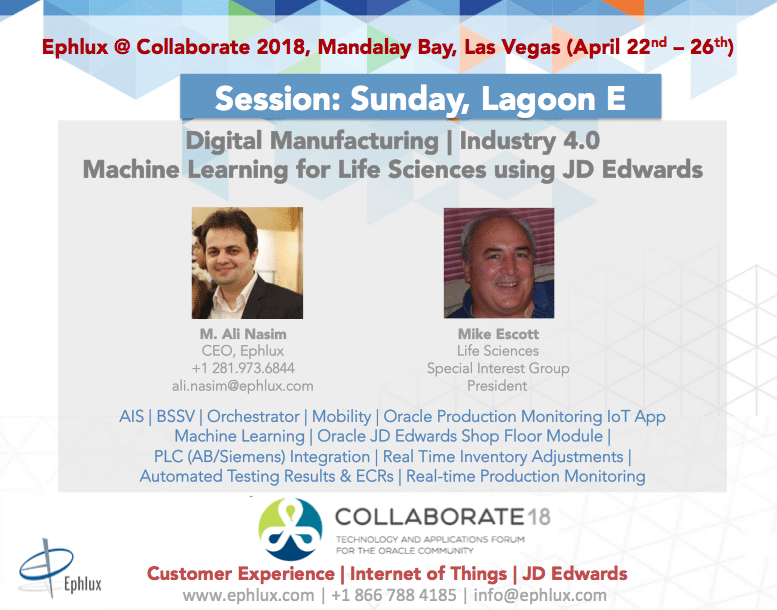 - How JD Edwards Digital Manufacturing Industry 4.0 solution looks like? - How you can integrate Oracle Customer Experience applications (Field Service, Service and Sales CRM) with JD Edwards and other on-prem ERP applications? - How is Ephlux helping the leading JD Edwards companies with their integration and digital transformation initiatives? Gartner says through 2018, 90 percent of organizations will lack a post-modern application integration strategy*. 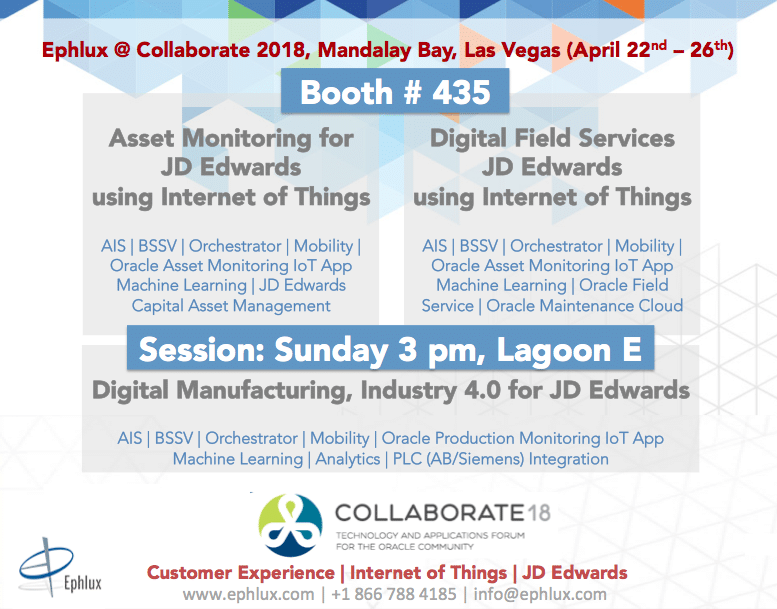 For JD Edwards, the post-modern application integrations involves the right mix of on-prem, cloud-based or hybrid integration frameworks that can best capitalize on your existing JD Edwards investments while leveraging mobility, integration cloud, big-data, analytics, process orchestration, AI, Internet of Things, e-commerce, CRM and other SaaS business applications. How JD Edwards post-modern application integration strategy looks like? What are the key components of a post-modern application integration architecture for JD Edwards? Where and when to utilize Business Services (BSSV), AIS and IoT Orchestrator in your integration architecture?